China is the most pollutant country in the world, and as it continues to develop industrially, one can only expect greenhouse gas emissions to grow as well. The country is taking steps towards its ecological rehabilitation, however. The first step was to acknowledge that it faces a dire problem, one whose consequences reverse on the entire world. 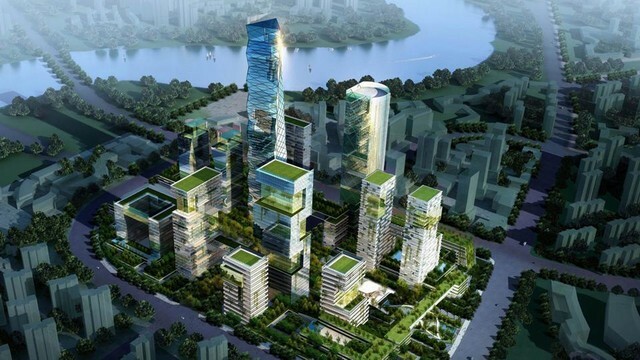 One of the most interesting green projects China is currently involved in is centered around an experimental city, which incorporates smart and green technology extensively through out its whole infrastructure, but all applied with the characteristic Chinese sense of practicality. China is home to some of the biggest and most modern cities in the world, however at the same time these massive urban centers area beacons of pollution – its streets filled with dust, its air filled with noxious fumes, smog so thick that sunlight can barely creep in. It’s very clear that China will become a wasteland in decades to come if something is not done about it. 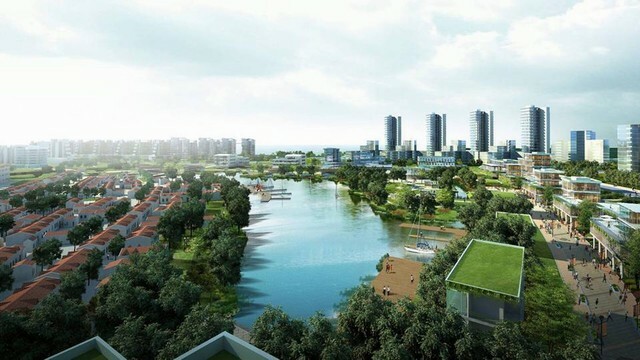 The Sino-Singapore Tianjin Eco City, the world’s largest projected eco-city, is the nation’s hope towards the future of its urban centers. Just an hour away by train from Beijing, and just 10 minutes away from the business parks at the Tianjin Economic-Development Area, Tianjin Eco City is expected to house 350,000 people when completed. The city’s designed infrastructure is set to target all of the current major hurdles Chinese urban life is facing at the moment – permanent gridlock, a lack of water and ruinous electricity bills. 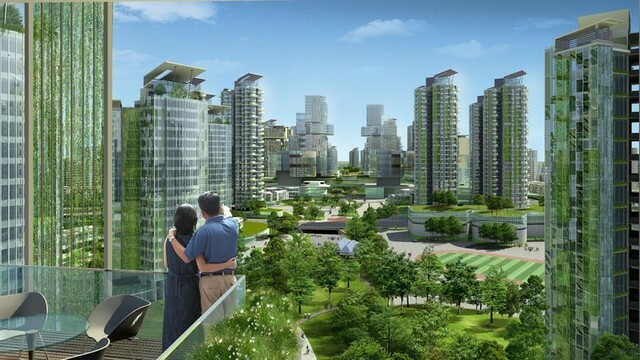 One of the biggest problem green cities face at the moment, besides the huge development cost compared to the conventional alternative, is the prerequisite of having an involved populace. Tianjin, isn’t glamorous by any means, and at first glance it looks just as gray and desolate as any Chinese city, however under the hood things are a lot greener – this without any kind of effort needed from its inhabitants’ part. Tianjin will be a huge urban experiment, probably the largest in the world. For instance, General Motors is using Tianjin to work out if electric driverless cars can function in a normal traffic system, and road-test the next generation of vehicles: small urban cars that drive themselves but are safe in an environment full of unpredictable drivers, pedestrians and cyclists. Other interesting green projects currently discussed and most likely to be implemented are low energy lighting systems from Philips or rubbish pins that automatically clean up themselves by sucking the trash though special ducts, developed by a Swedish company called Envac. Government-owned buildings will be powered by geothermal energy, have shutters that move with the light, in order to keep buildings cool, and heating systems that use solar energy. The area on which Tianjin is currently being built is roughly half the size of Manhattan, but what’s interesting is that only three years ago it used to be huge desolate landscape, ruined by chemical pollution from the factories that border it. By using a special process, the Chinese authorities have managed to clean-up the site and hope to implement the same solution around other sites in the country – there are countless such sites through out China. The city of Tianjin is projected to be completed by the end of the decade, after a projected investment of around 250 billion yuan (£25 billion), part of a joint financial and administrative collaboration between the Chinese and Singaporean governments. Currently, 60 families have already moved in. If successful, Tianjin might be the first of many green, yet cheap and practical, cities in China, quite possibly turning the country around ecologically.